In 2002, Molecular Machinery: A Tour of the Protein Data Bank was published by the RCSB PDB. 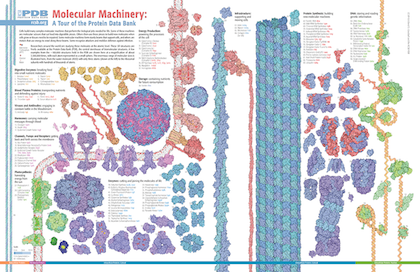 Created by Molecule of the Month author David S. Goodsell, this illustration The image, available as a poster and handout, has been distributed to thousands of PDB users, teachers, and students over the years. 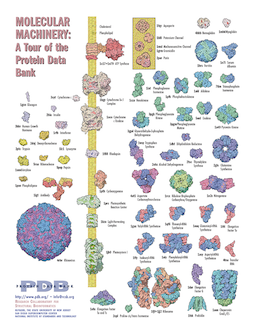 In celebration of the release of more than 100,000 structures in the PDB archive in 2014, Goodsell and RCSB PDB updated this iconic image in a new Tour of the Protein Data Bank. 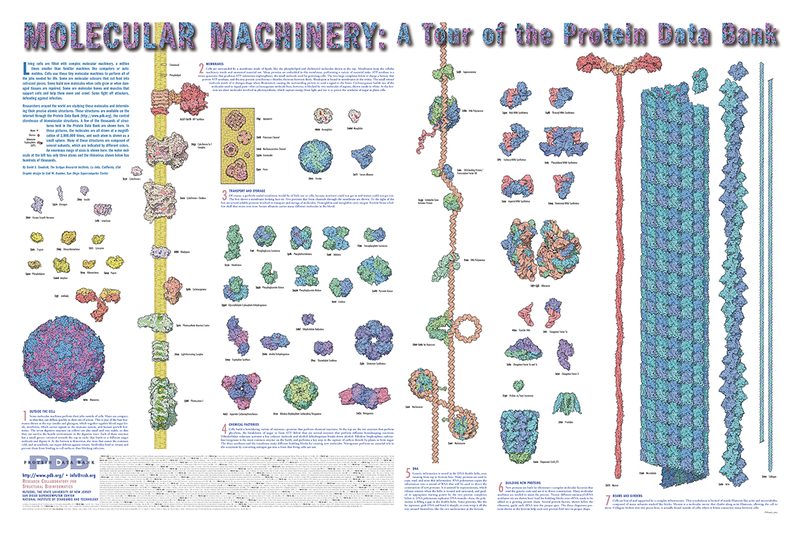 Molecular Machinery is available as a poster, flyer, and interactive viewer. 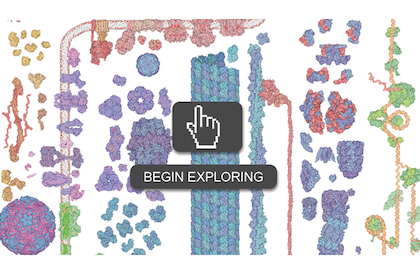 The vast range of molecular shapes and sizes in the PDB are illustrated by these 96 molecular machines. 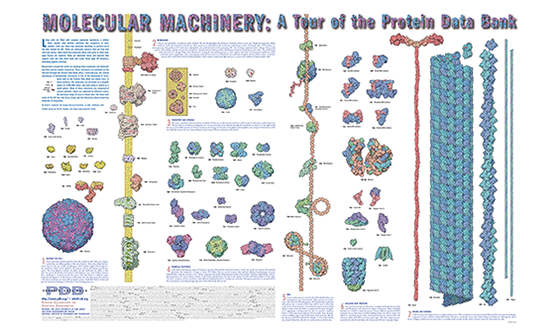 The structures are depicted relative to the cellular membrane and organized in categories related to function. A scale bar provides a sense of molecular size in nanometers. 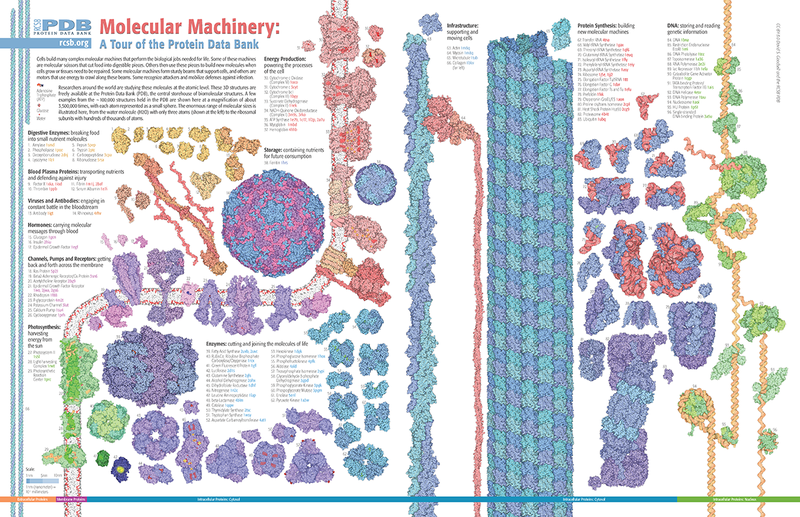 This illustration features 75 select structures from the PDB, showing their relative sizes at a scale of three million to one, and generally describes their critical roles in the functions of living cells.